More cold and snow after a brief rain event Wednesday. 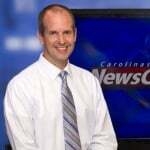 Brad began providing weather input for us and our visitors several years back when he was doing weekend weather for WCNC, NBC 6 in Charlotte, North Carolina. He's been a fan of the website for years and mentioned us on the air numerous times and during the 2008 season he began providing us with invaluable Winter Forecasts and forecast video input.We asked Brad to join our staff prior to the 2009-2010 season to provide our visitors with video forecast updates every other morning throughout the season and those video updates are one of the more popular page visits each day since. Here's some more information on our snow loving weather guy!